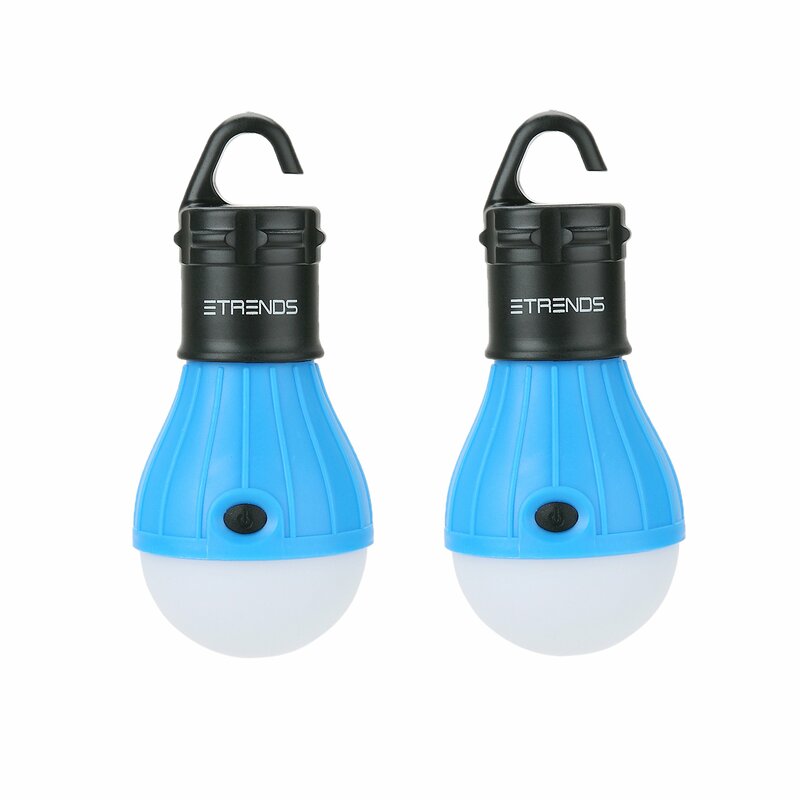 Home › Energy-Efficient LED Lighting › 2 Pack E-Trends Portable Led Lantern Light Bulb For Camping Hiking Night Fish..
2 Pack E-TRENDSÂ® Portable LED Lantern Light Bulb for Camping Hiking Night Fishing Emergency Light, Battery Powered for Outdoor & Indoor, Not for Reading Purpose. Built with superior, high-quality materials that are safe and reliable to help provide maximum durability and water resistance whenever or wherever you go. The innovative and convenient hanging hook design is equipped with a sturdy housing to support all your outdoor and indoor activities such as camping, hiking, hunting, mountaineering, fishing, reading and a lot more! Its high-setting of 150 Lumens offers maximum brightness that can easily illuminate the whole campsite, so there's no need to worry about outages, whether indoor or outdoor. 12 Months Warranty & 30 days money back guarantee.